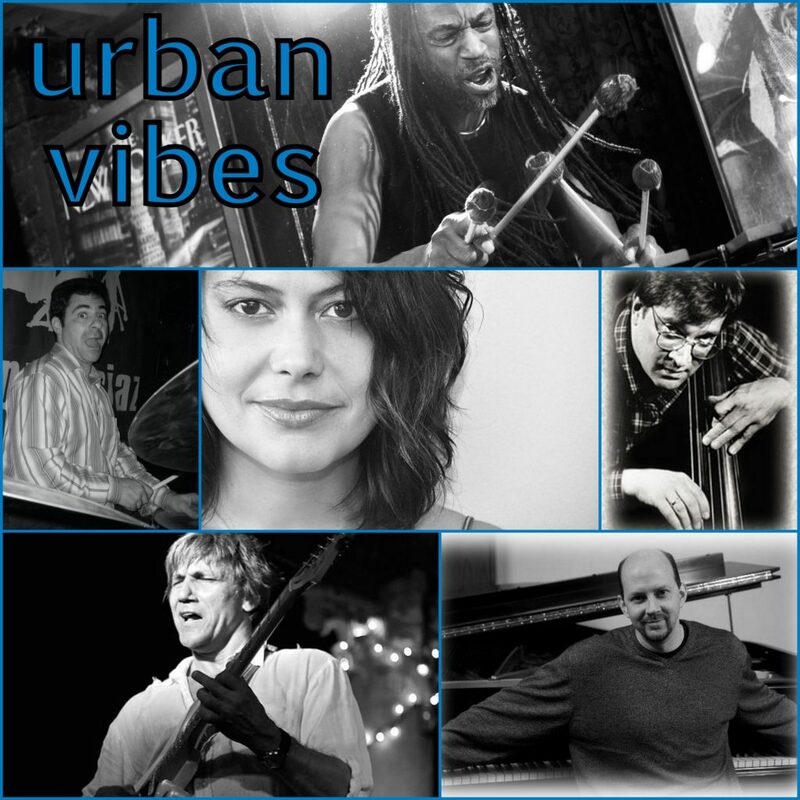 Urban Vibes is Bill Ware’s experimental improvisational jam band which first took up residency in the late ’90s at The Ace of Clubs (formerly Acme Underground) in the East Village, New York City. Bill produced, arranged and performed on keyboards and vibraphone – with a great list of talented musicians joining in, including: Fred Shehadi on Guitar, Eliane Amherd on Vocals and Guitar, Gina Figueroa onVocals, Jaime Affoumado and Genji Siraisi on Drums, Norbert Marius on Bass, Alvin Rogers on Soprano sax, Jay Rodriguez on Tenor sax and Chauncey Yearwood on Percussion. Today, Bill has reinvented Urban Vibes into a grooving jazz/rock band! Sometimes featuring Paul Pesco — who’s resume reads like a “Who’s Who” of heavy music industry giants including Steve Winwood, Michael Bolton, Jennifer Lopez, Joan Baez, Whitney Houston, Chaka Khan, Alejandro Sanz, Roberta Flack, Mariah Carey, Hall & Oates,C+C Music Factory, Annie Lennox, Alicia Keys, and too many more to name here. Sometimes featuring Eliane Amherd — Swiss-born singer, guitarist and songwriter, leader and featured artist in New York’s most famous clubs, Eliane also tours in North- and South America, Canada, Europe and Asia, where she appeared in international Festivals in China, Thailand, the Philippines, Myanmar, Malaysia, Nepal and Mongolia – like the International Jazz Festival in Hong Kong, the Beijing Nine Gate Jazz Festival, the Shenzhen OCT Loft Festival, the Beishan International Festival in Zhuhai, the Jazzmandu Festival in Kathmandu, the Giant Steppes of Jazz Festival in Mongolia and the Yangon World Music Festival in Myanmar.